Sony Corporation (NYSE:SNE) has seen a decrease in enthusiasm from smart money lately. 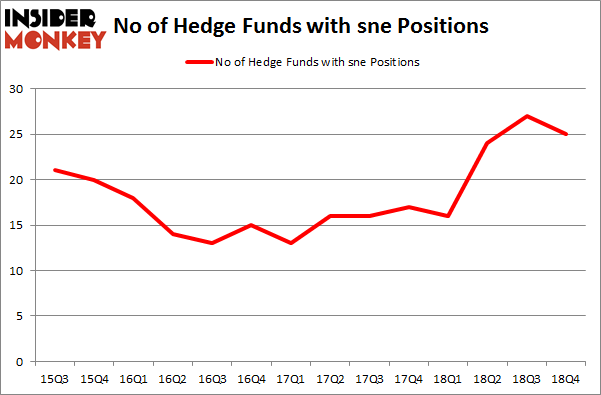 Our calculations also showed that sne isn’t among the 30 most popular stocks among hedge funds. We’re going to view the latest hedge fund action surrounding Sony Corporation (NYSE:SNE). At Q4’s end, a total of 25 of the hedge funds tracked by Insider Monkey were bullish on this stock, a change of -7% from the previous quarter. Below, you can check out the change in hedge fund sentiment towards SNE over the last 14 quarters. With the smart money’s capital changing hands, there exists an “upper tier” of noteworthy hedge fund managers who were upping their stakes significantly (or already accumulated large positions). More specifically, GAMCO Investors was the largest shareholder of Sony Corporation (NYSE:SNE), with a stake worth $193.2 million reported as of the end of September. Trailing GAMCO Investors was Renaissance Technologies, which amassed a stake valued at $105.4 million. Soroban Capital Partners, Millennium Management, and D E Shaw were also very fond of the stock, giving the stock large weights in their portfolios. Judging by the fact that Sony Corporation (NYSE:SNE) has witnessed declining sentiment from hedge fund managers, logic holds that there were a few money managers who were dropping their full holdings in the third quarter. Intriguingly, Jonathon Jacobson’s Highfields Capital Management cut the biggest position of all the hedgies watched by Insider Monkey, valued at close to $61.3 million in stock. Fang Zheng’s fund, Keywise Capital Management, also dropped its stock, about $51.2 million worth. These moves are intriguing to say the least, as aggregate hedge fund interest fell by 2 funds in the third quarter. 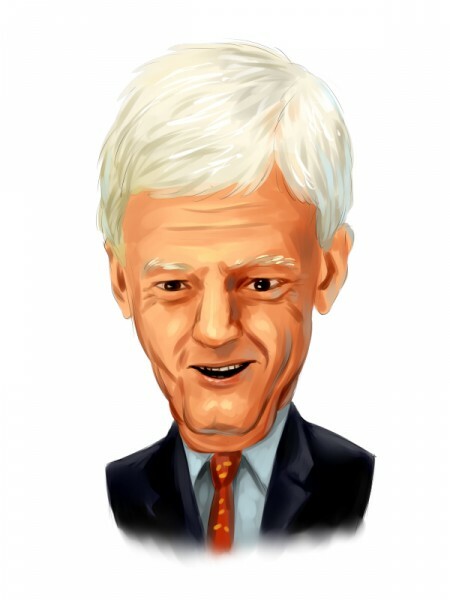 Let’s now review hedge fund activity in other stocks similar to Sony Corporation (NYSE:SNE). These stocks are The Bank of Nova Scotia (NYSE:BNS), Becton, Dickinson and Company (NYSE:BDX), Biogen Inc. (NASDAQ:BIIB), and Westpac Banking Corporation (NYSE:WBK). This group of stocks’ market valuations match SNE’s market valuation. As you can see these stocks had an average of 29.5 hedge funds with bullish positions and the average amount invested in these stocks was $1235 million. That figure was $559 million in SNE’s case. Biogen Inc. (NASDAQ:BIIB) is the most popular stock in this table. On the other hand Westpac Banking Corporation (NYSE:WBK) is the least popular one with only 10 bullish hedge fund positions. Sony Corporation (NYSE:SNE) is not the least popular stock in this group but hedge fund interest is still below average. This is a slightly negative signal and we’d rather spend our time researching stocks that hedge funds are piling on. Our calculations showed that top 15 most popular stocks among hedge funds returned 19.7% through March 15th and outperformed the S&P 500 ETF (SPY) by 6.6 percentage points. Unfortunately SNE wasn’t in this group. Hedge funds that bet on SNE were disappointed as the stock lost 4.2% and underperformed the market. If you are interested in investing in large cap stocks, you should check out the top 15 hedge fund stocks as 13 of these outperformed the market. Were Hedge Funds Right About Dumping Twenty-First Century Fox Inc (FOX)? Itau Unibanco Holding SA (ITUB): Are Hedge Funds Right About This Stock? Hedge Funds Have Never Been This Bullish On Thermo Fisher Scientific Inc. (... Were Hedge Funds Right About Buying United Technologies Corporation (UTX)? Do Hedge Funds Love Diageo plc (DEO)? Were Hedge Funds Right About Buying Costco Wholesale Corporation (COST)?